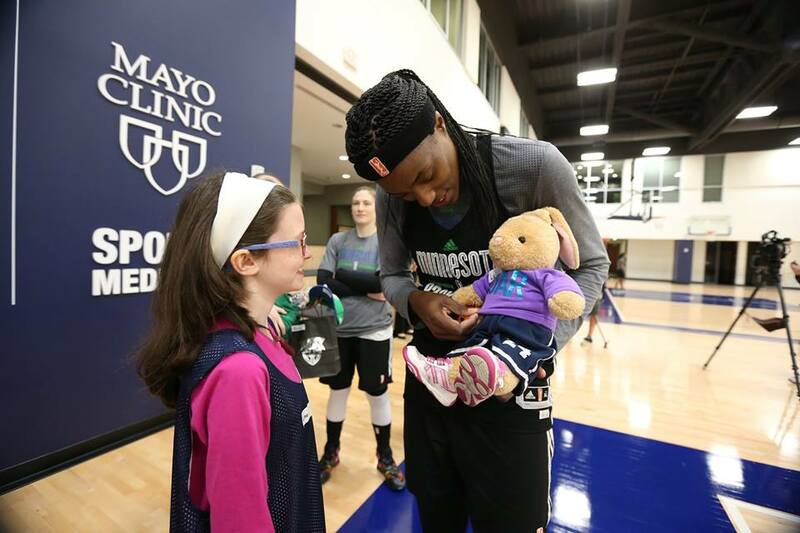 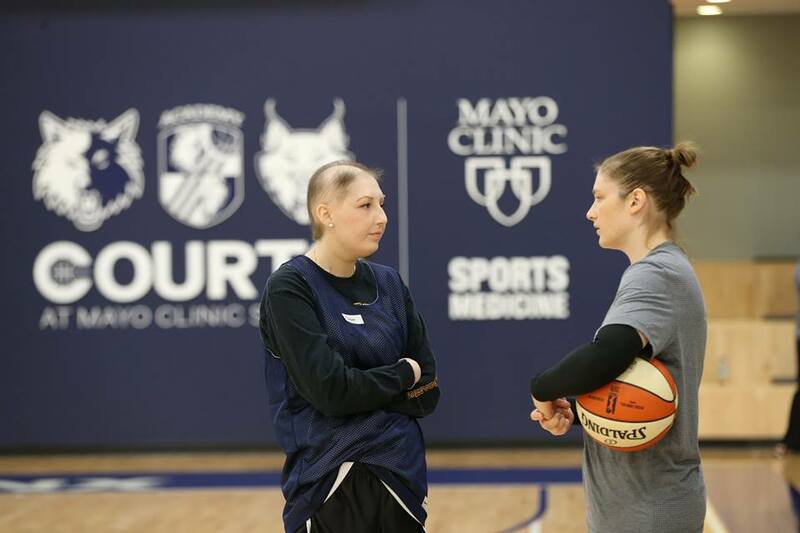 On Sunday, May 1st, the Minnesota Lynx announced that they were adding an honorary ‘dream team’ to their roster: Grace Rogge (Defending the Blue Line), Kira Jayne Reymann (Special Olympics), Taylor Lieber (University of Minnesota Masonic Children’s Hospital), Linae Larson (HopeKids), and Razziya (MN ADOPT). 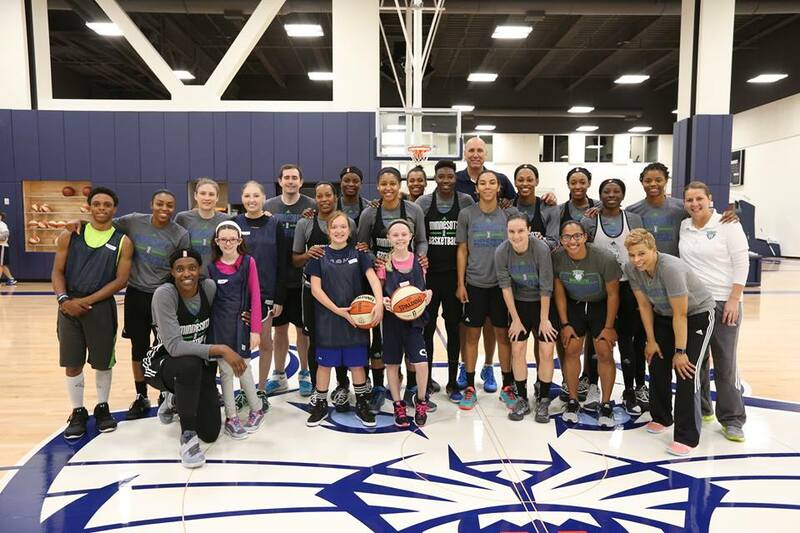 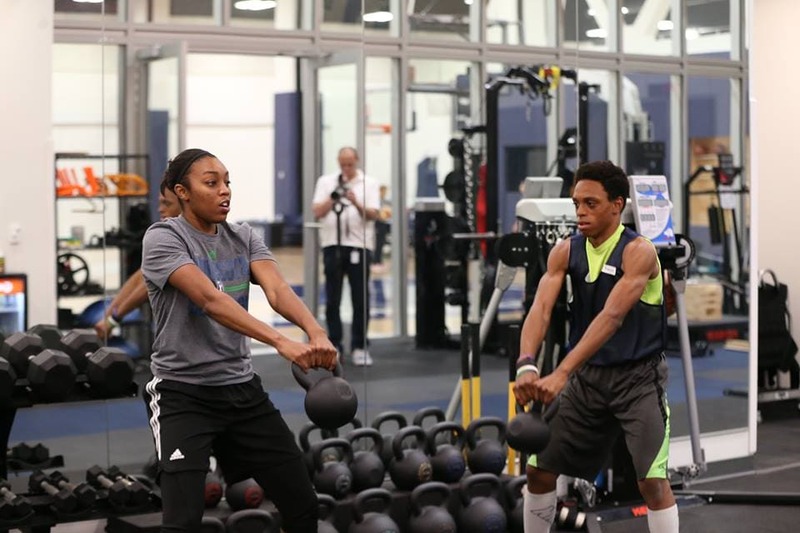 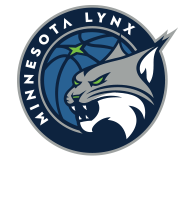 Each of the five newest Lynx members signed an honorary contract and was partnered with a player as a mentor at Sunday’s practice and throughout the season. 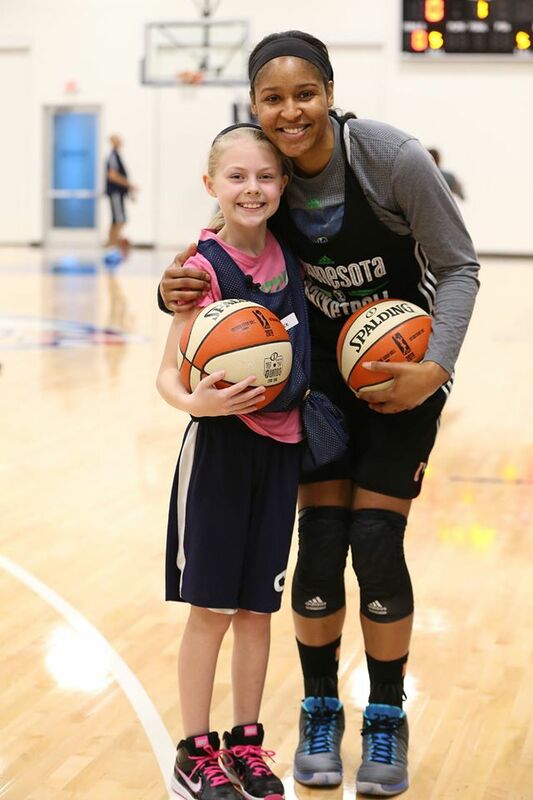 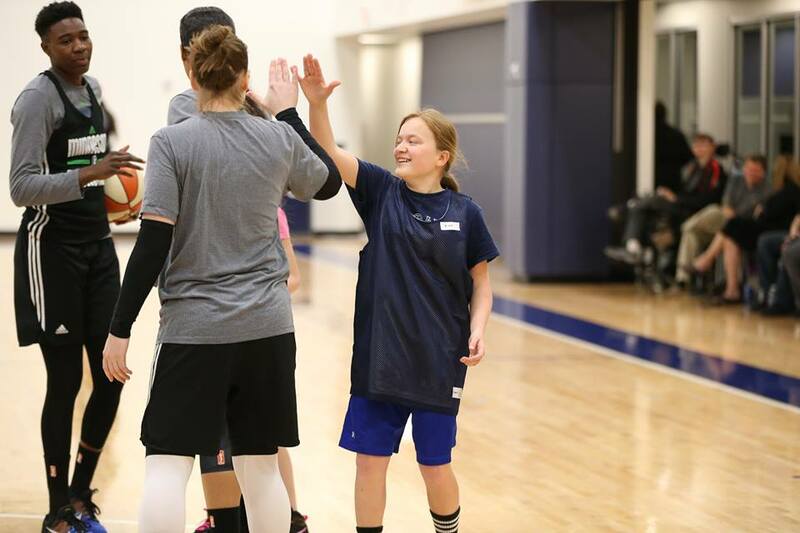 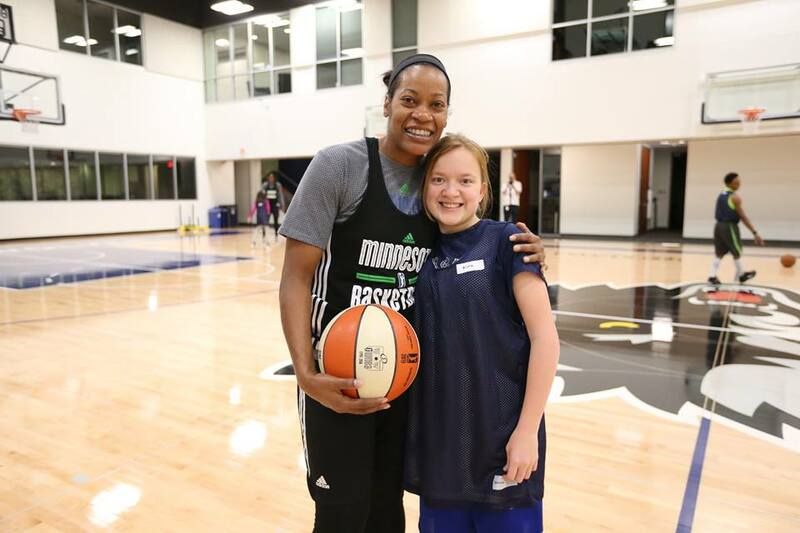 The five player mentors (Maya Moore, Lindsay Whalen, Sylvia Fowles, Renee Montgomery and Jia Perkins), assisted the inspiring kids in practice, drills and stretching exercises. 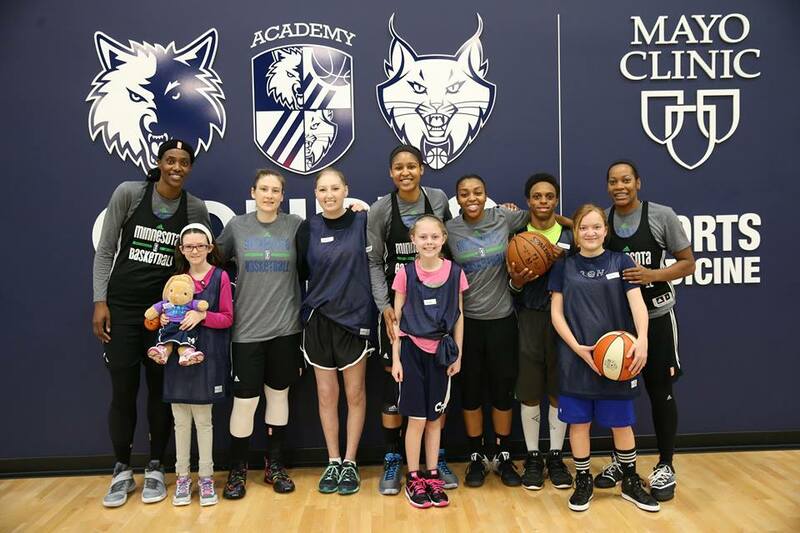 With smiles on their faces throughout the day, the amazing event was capped off with the honorary members eating lunch in the Lynx players lounge and spending some 1-on-1 time with their mentors. 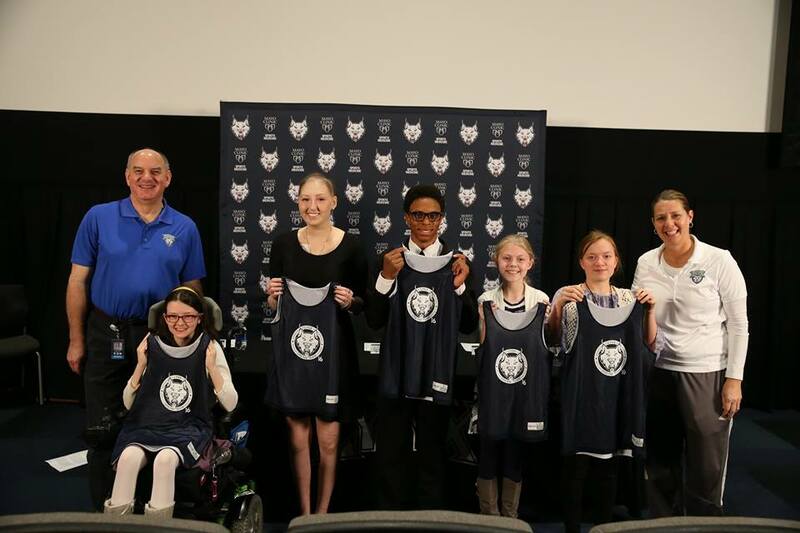 The ‘Dream Team’ will also be honored on court prior to an upcoming game this season, highlighting their time with the team.